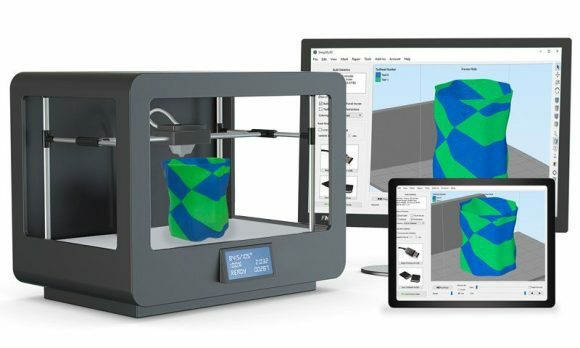 Depending on the model of the 3D printer you got you may have multiple options to print on the device, either connected to a computer and being controlled from it or working standalone from a 3D file you send to the device in some way. Usually the higher the price of the device, the more options you have available to choose from. What you should have in mind is that different connectivity options may require specific things and may not always be the best choice for your needs. Starting from the lowest end, in terms of price, consumer 3D Printers you usually get only the option to connect the device to a computer and control it from the 3D printing software. There is no standalone mode available, so while working you will always need to have a computer connected to it. Not a wise idea to use a laptop that you may be taking away with you, the best choice would be a desktop computer or small and compact one that does need a lot of processing power. Using a direct USB cable connection should also give you the opportunity to monitor and control the device manually from the printing software at any point (only if the software supports it). This functionality might be useful especially with DIY setups where monitoring the printer operating parameters can help you find possible issues and things that you might be able to work on to improve. The mid-range consumer 3D printers do get some extras, apart from the USB cable connection, they usually also come with either a flash card reader or a separate USB port for USB flash drives. This allows you to have the printer operate independently, not needing to be connected to a computer all the time or at all as you can load the models with a flash card or a drive directly to the device itself. This functionality can be quite convenient at times and I often prefer to print this way instead with a cable connection. This way I also know I have one more backup of my 3D models on an external drive, though it is always best to have an additional backup of your work on a separate device than your computer and/or the flash memory you may be using with a 3D printer (flash cards and USB drives do break as well, especially when you use them more often). Some of the higher-end consumer 3D printers may also come with cable LAN or even WiFi option for connectivity to the device, this can be especially useful if you are getting a device for multiple users like in an office, not as much at home though. The availability of network connectivity may also come with another useful feature and that is a camera that can show you while the printer is working, so you can monitor the 3D printing process even remotely for example. 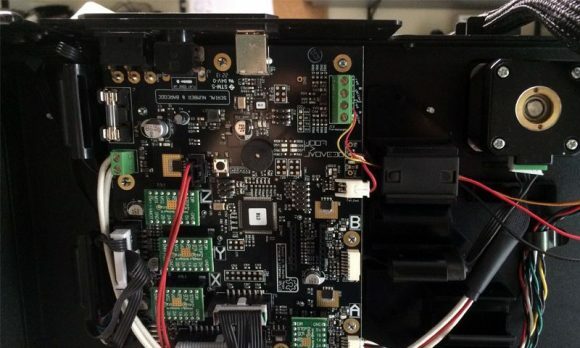 In the previous articles I have mentioned already that it is not a good idea to leave a 3D printer unattended while working, but if you have a monitoring camera you might feel safer as long as you don’t forget to check the video feed from time to time. It is a good idea to check what connectivity options will the device you have or even better are planning to get as having more than just the USB cable connection can be useful. So just don’t overlook that part of the 3D printer specifications. So far in the series of articles about 3D Printing I have covered most of the steps in the workflow you normally follow, though for some I’m going to be talking in the upcoming parts of the articles. Especially important are the steps where you need to inspect the print preview for possible issues and if there are any to get back and correct them by editing the 3D model you want to print. Another very important thing can be the post processing step where you for example sand and paint or threat the surface of the 3D printed object with different things in order to improve the quality and finished look of your prints. These two will be the topic of the next part of the series, so stay tuned. Now, if you are 3D printing something for personal use the above steps may be enough for you. 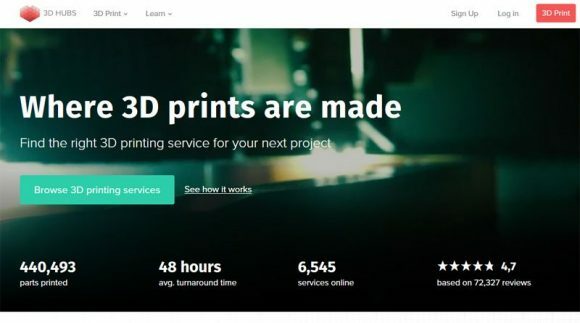 However once you actually get a 3D printer and start using it you may want to offer 3D printing as a service, even without turning that into a business. You can register on 3D Hubs and start offering your 3D printing services to other users that may want to try and get something 3D printed without actually having to buy a 3D printer yet. You will find a great community and may even get to know other 3D printer owners around you, the service is connecting people all around the world, so no matter where you live you might find somebody else with passion about 3D printers close to you. 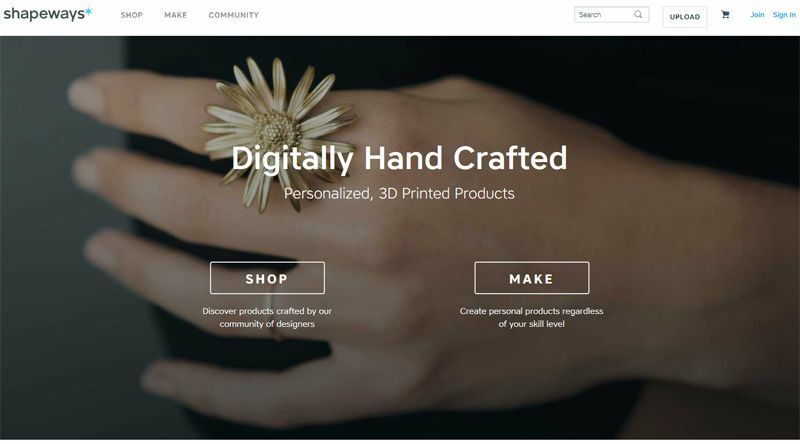 Alternatively, for people that actually make their own 3D designs, there are services where you can upload your designs and start selling them to people that may want to buy the finished 3D printed product. This is another good opportunity to extend your 3D printing hobby to something more than 3D printing at home things for yourself. Examples of such services are Shapeways and i.Materialise, though there are others as well. What is even better with these services is that you can also make something yourself in the form of a 3D model, test print it on your 3D printer at home and get it professionally 3D printed on a high-end machine with better quality and a wide range of materials that you cannot use on your consumer 3D printer. An example of this would be to design some jewelry, test print it on your device and actually start selling your own products that will be 3D printed from metal, including precious metals as well. The 3D printer software you get with your device or the so called Slicer (the software that turns 3D models of objects into a layer by layer data fed to the 3D printer) is usually great for you to get started. It might be even fine for users that don’t want to play around and experiment with different printing materials or upgrade and modify their printer, but as you continue to learn and try different things you will most likely start to see flaws and lack of useful features in what you have available. I know as it has happened with me soon after I got my first 3D printer – the MakerBot Replicator 2. 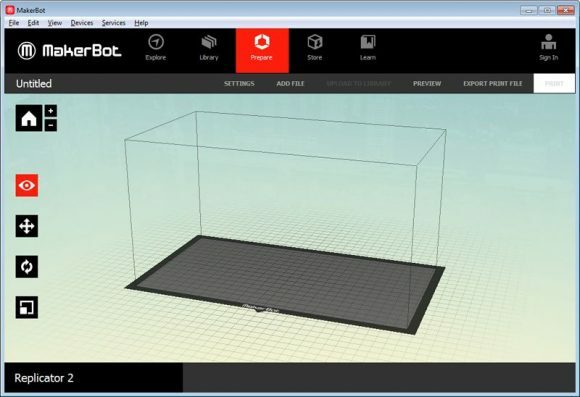 The software that ships with the printer – MakerBot Desktop, was nice and user friendly, so I was quick to learn to use it and that is a great thing for a newbie into 3D printing. However I started noticing things that could actually be better such as the speed of slicing more complex 3D models (it took forever) or getting more control over the printing parameters besides the really basic stuff. Now, have in mind that this was probably more than 2 years ago, so meanwhile these have been a lot of improvements and the latest version is faster and offers some more advanced parameters of the printing process to be tweaked. Back in time, about 2 years ago I started looking for alternative 3D printing software to the default one for my 3D printer and I have found one that a lot of people were recommending. It was a commercial program called Simplify3D that other users of the Replicator 2 and other devices were recommending as being much better and offering a lot of extra useful features for more advanced users. I was a bit skeptical at first, especially considering the price tag of the software and it not having a trial version, though I still risked it and bought a license. Two years later and I’m still mostly using the Simplify3D software instead of any other official 3D printing software and am really happy that I made the decision to get a license back then. It has really saved me a lot of trouble and failed prints, especially when using more exotic filaments or I have to print larger and more complex 3D models. So I definitely recommend the Simplify3D software as an upgrade over the stock 3D printer software as long as your device is compatible with it. There are a couple of things that I like the most about this alternative slicer. First it has a really fast 3D model slicer engine that turns a virtual 3D model into a layer by layer information for the 3D printer. Back when I first got it was multiple times faster than the MakerBot Desktop slicer, so it really saved me a lot of time just for being significantly faster. Now it may not be that much faster, but it probably still has one of the fastest slicing engines out there and that essentially save you time, time otherwise spent waiting for the software to do its job. 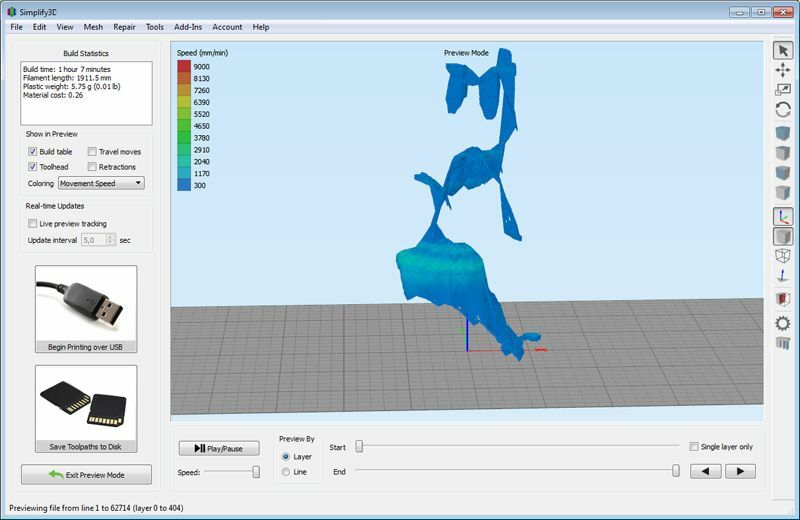 When preparing a 3D model for printing you may want to try playing around with different printing settings and that means that you need to generate the Preview multiple times to check how the options you tweaked may affect the final result. So even saving you a couple of seconds for each preview can make a big difference and normally you get more time saved. Furthermore the 3D model preview and Print Preview of this software do look better and more useful than what the standard software for the Replicator still provides you with. 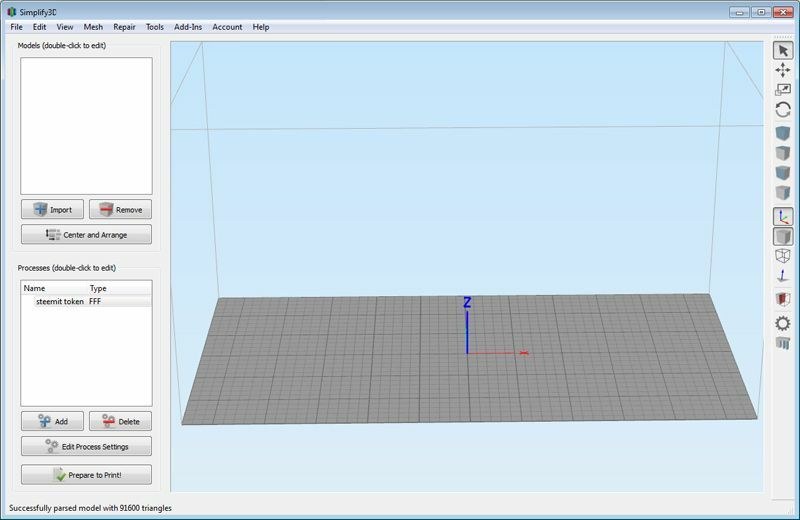 In the 3D printing series of articles I have actually shared a number of screenshots from both the Replicator 2 Desktop software as well as the Simplify3D software. Another very useful feature I like is the flexibility of the support structure generation that is available in the Simplify3D software. You have some control over the automatic process of generation of support structures (I have described in detail what these are and what they are used for in an earlier post of the series). What is much more important and useful here however is the ability to actually manually add or remove support material and that is huge advantage and I mean really huge. The automatic generation process not always does great and you may need to apply some extra structures or remove some of the added ones, but in most standard 3D printer software products you just don’t have the option to do that. 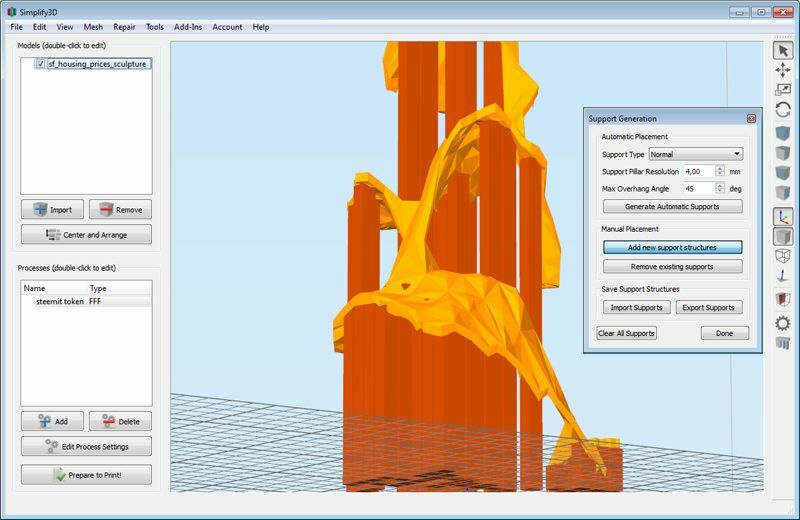 So if you want to use support material you can only rely on the automatically generated one, or not use support structures at all, but with Simplify3D you have the much needed additional control. Other useful feature is the one that can help you identify potential problems in the 3D model you want to 3D print, the software even has some built in tools that can sometimes help you automatically resolve potential problems. These features do work decently, though they are not the best I’ve seen and there are other automated tools that may help you better, though at least you can know that there is a potential problem that may result in issues with quality or even unsuccessful print. These features need some more work, but even at the moment they can be useful as again a lot of the standard 3D printing software does not even offer such functionality. I’ll be talking abut these potential issues with the 3D models additionally and in more details in the future, so you might want to read about them as well in the next post from the series. There are other useful extras also available such as much and I really mean much more control over the printing parameters and the ability to tweak just about everything you want such as printing speeds, use different infill patterns and settings, change layer or extruder settings if you are using a custom printing nozzle for example (with larger or smaller hole), much finer control over the support structures, rafts and some other useful structures that can be printed to help you get better results, operating temperatures of the printing head(s) and the heated build plate (if available), even add custom code that the printer can execute if you want to. So again, I do recommend that you check the Simplify3D software and consider getting it if your device is supported, it is really useful and will improve your experience and capabilities when using your 3D printer.